Thanks Stephanie. My preschooler is also into his handbells at the moment and your hard work is super appreciated. Much love to you and Jax!! Thank you for sharing this! It is fantastic! 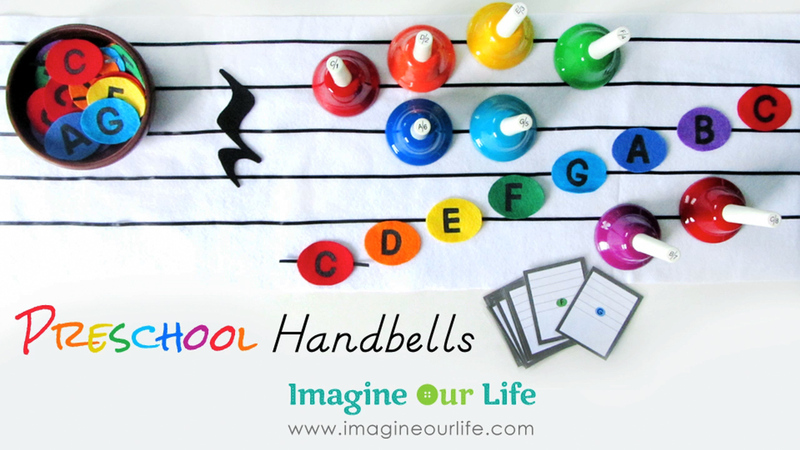 You have inspired me to make our own set of resources to support learning with our handbells. Thanks again! This is pretty cool! 😉 I wish I had the drive (and time) to assemble things like this for my two kiddos… !!! Jax is one lucky guy! I can’t wait to see your next quiet book page too! Have a great weekend! Oh my, Jax is SO cute! I love how he shakes the bell with such gusto! This is a brilliant exercise. Thanks for sharing. I think I need to make this!! 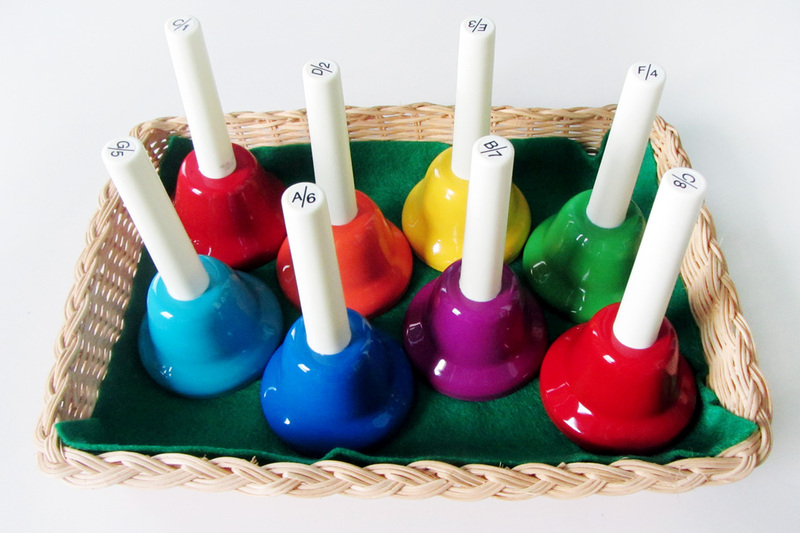 Well, we have the Schylling hand bells so our bells don’t match in colour. 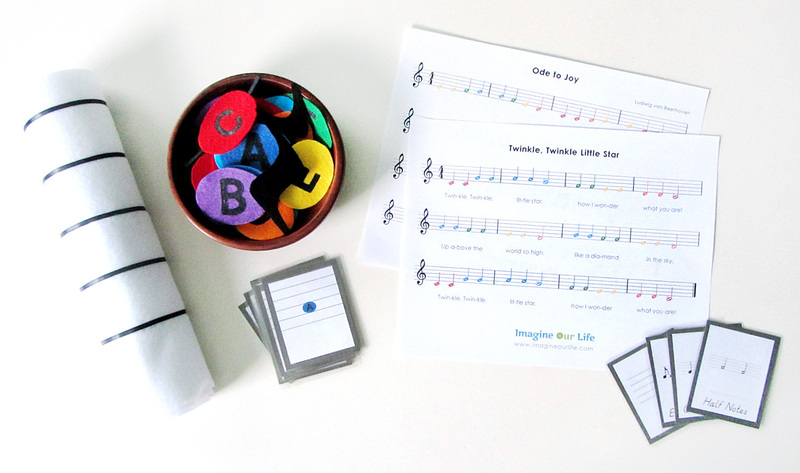 But I am hoping that if I print the 3 part cards and the music sheets in grey/black/white that I can carefully colour the notes myself. 3 part cards with colours for notes! 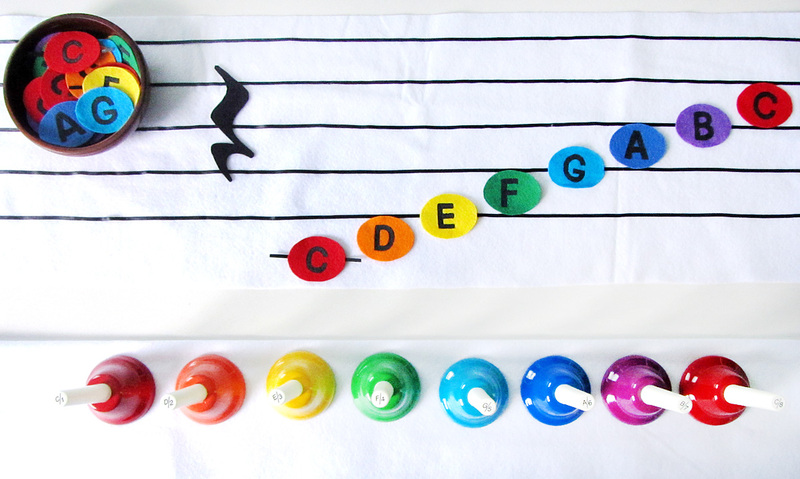 While I can read super basic music, I still consider myself music challenged so these are perfect. I love them! I found you via Racheous blog and am so pleased I did! This is amazing! 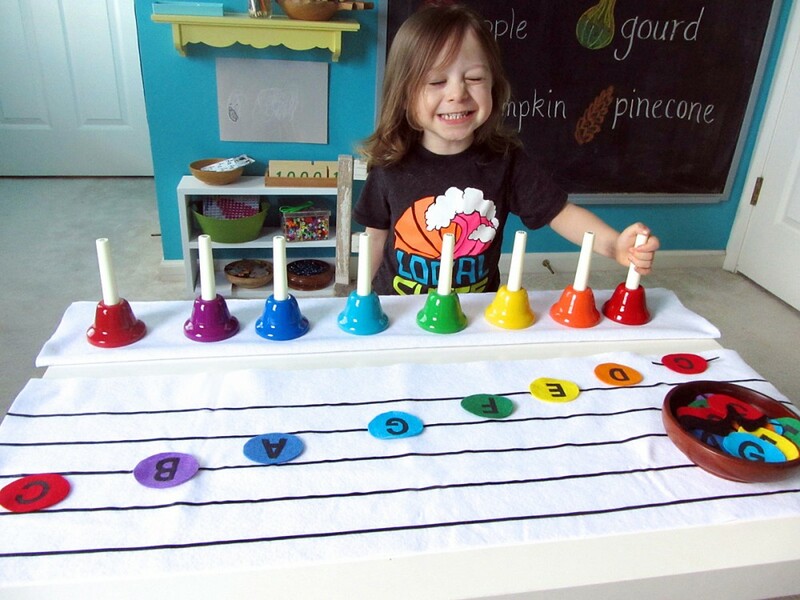 My daughter absolutely loves music and rhythm and I just know these will be great to develop this interest! 🙂 Thanks for sharing! I’ve pinned this and can’t wait to buy our own! Wow. I just stumbled upon your site this evening, and I am impressed. Given that I’ve read 1,000s of teaching and educational blogs in the past three years, that is no small feat! 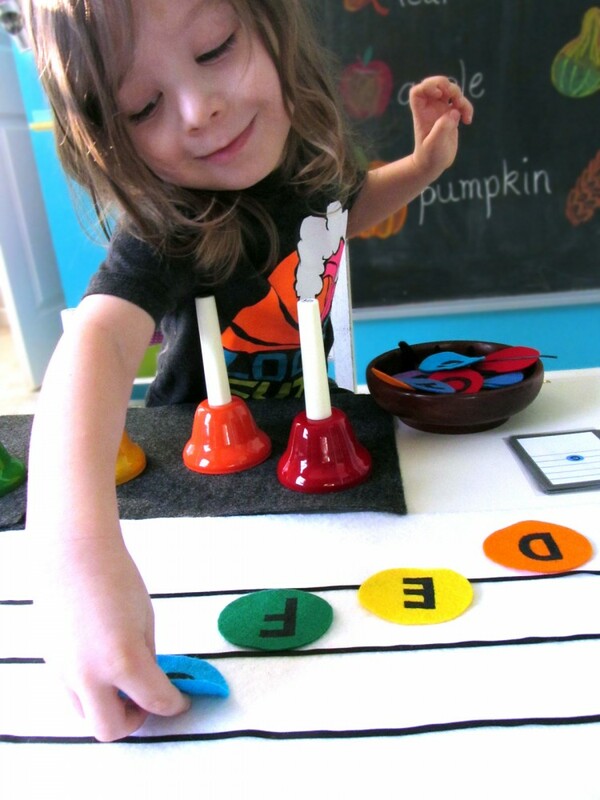 After ten years in the traditional school system and know having two children of my own with special needs, Montessori began to make sense. 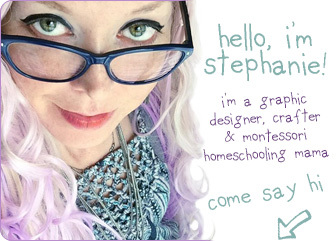 And, I’m smitten that I’ve found your DIY blog, b/c here in Chicago, the Montessori schools are financially out of reach for most. I plan to grab a glass of something, and cozy up here. And pin all I can that’s relevant from you site. This is wonderful! 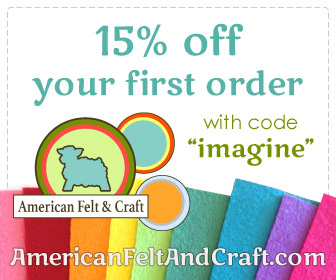 Doesn’t take long looking at your page to see how creative and talented you are! SO glad I found your site. 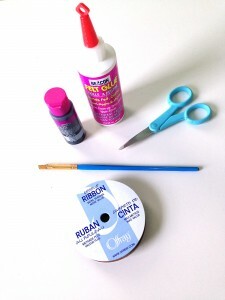 Do you make and sell this kit? I want it! I don’t at the moment, but it is a possibility in the future! Your ideas are just wonderful. 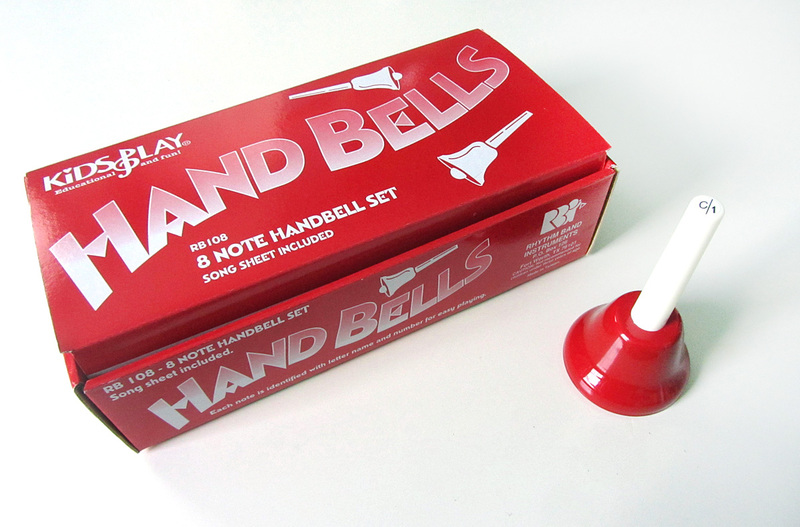 I have ordered the 13 note hand bells. 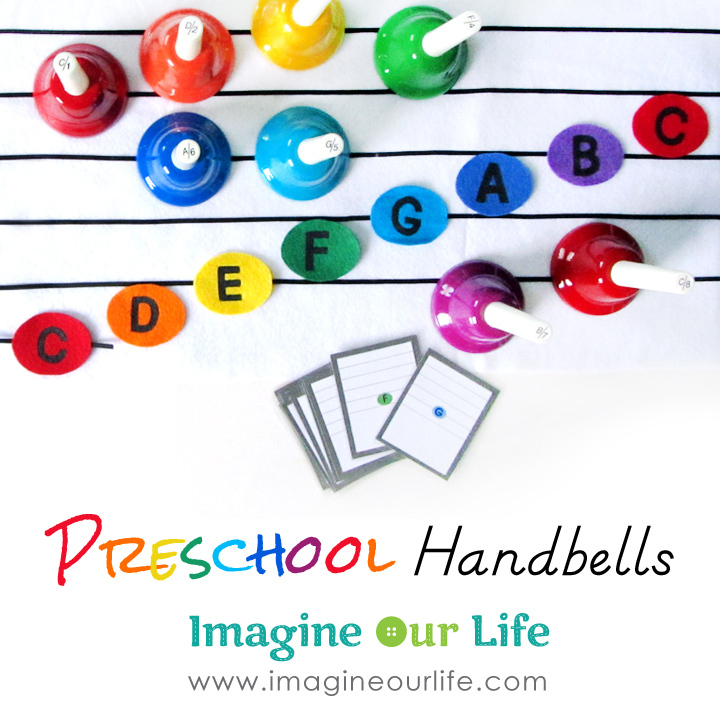 Do you store your hand bells in anything or just leave them out all of the time? We are just keeping them upright in a basket/tray that is lined with felt right now. I do have a bell bag on his wish list, but I think the basket is easiest for now. He is able to grab it himself. And thanks for your note! I’ll look into fixing the file asap. Love your creativity! 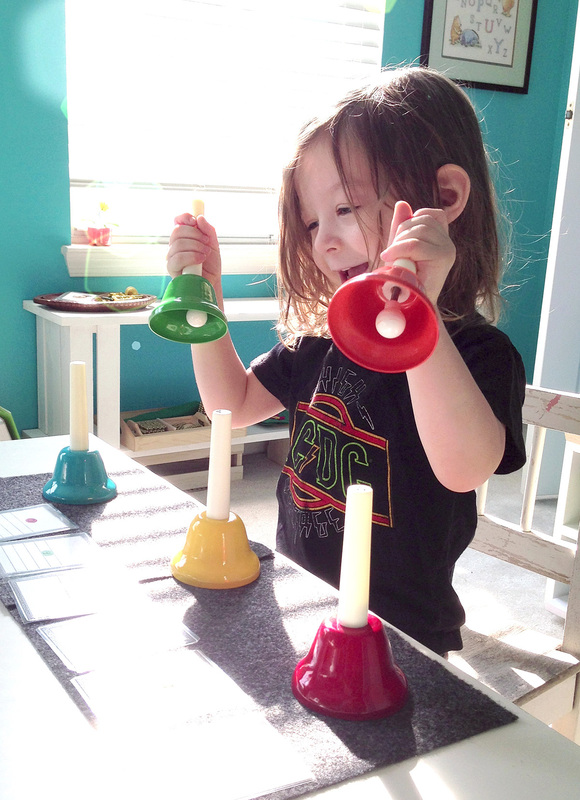 I’ve been looking for some materials/ideas to use with my son and his colored resonator bells! Thanks! 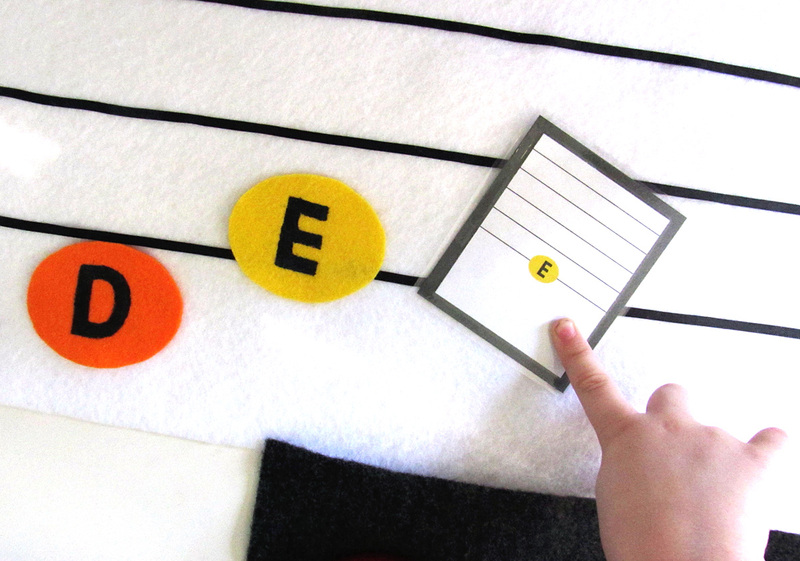 FYI, you need to change the sixteenth notes to eighth notes in the Ode to Joy music. Let me know when you do and I’ll print it. Thanks again for sharing! I have to fix one of the note cards as well. I’ll try to update the files today. Thanks! Thanks again for taking the time to post your wonderfully creative ideas. Hi, thank you so much for the great printables! My 3 and 5 year old have already been using the cards to arrange their own “songs” and playing together. What a great resource. I’m wondering if you can answer a question for me since I am pretty musically illiterate. 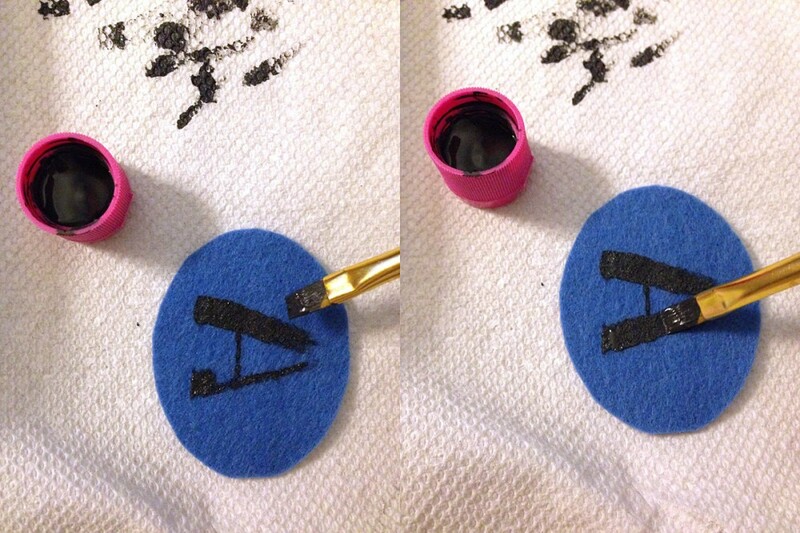 I noticed that the A and B notes are in the exact same spot. Is this a typo or should they both be there? I actually had been notified of the mistake and updated the files last week – but forgot to upload them! Thanks for the reminder! The post and files have been fixed. Thanks so much for these amazing resources. I am just starting to have grand kids and this is wonderful! I made mine in Adobe Illustrator. This is so beautifully done and so creative! I was not surprised to see you play oboe. 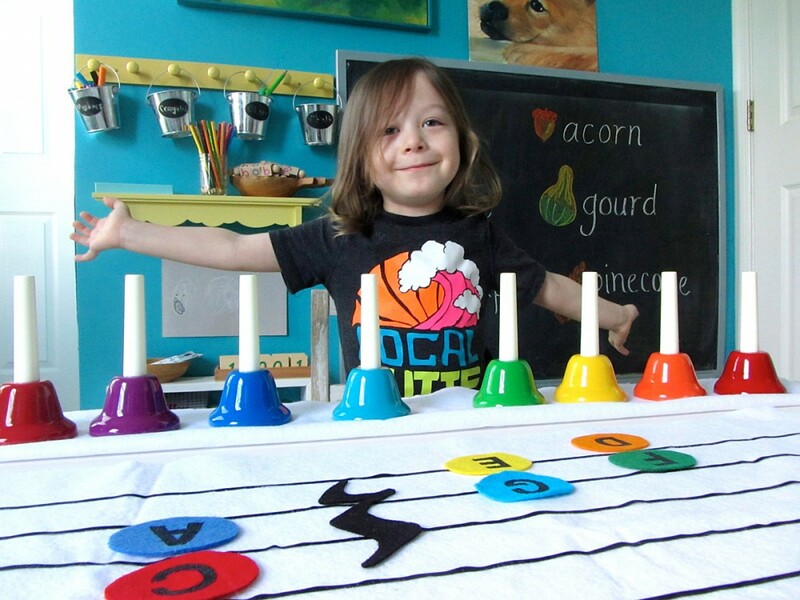 I’m an oboist too and I love the Montessori philosophy. I would like to use the color music note control cards, but the handbells I have are the ChromaNote bells. 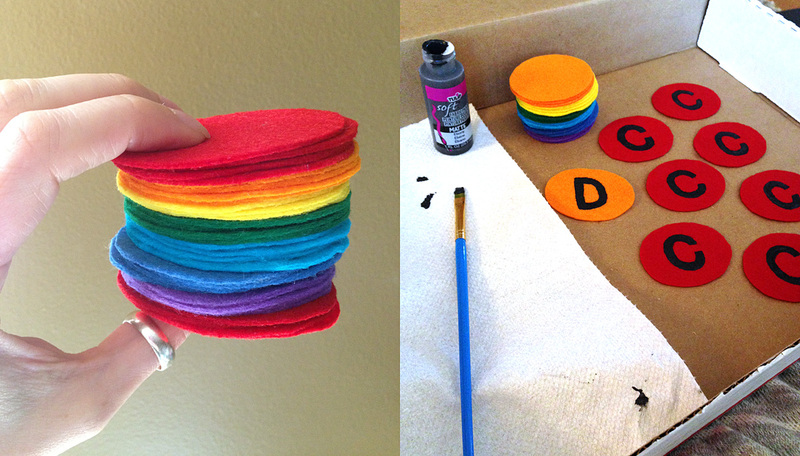 Their colors coordinate with the Boomwhacker colors and there is a slight difference with the F and the G. The F is a lighter green and the G is the color of your F.
I was hoping you might be able to make another F and G card, or would you be willing to let me know how you made them? They are so beautiful, I don’t think I would be able to make a version that comes close to yours. I have returned to this now one of my children has exploded into a music sensitive period! I know your son is probably past this now, but do you have any other plans to make more song sheets, or could you help me make some of my own in the same style as yours please? Thanks! How do you handle the line for the lower c? Is it glued to the note or on the staff? 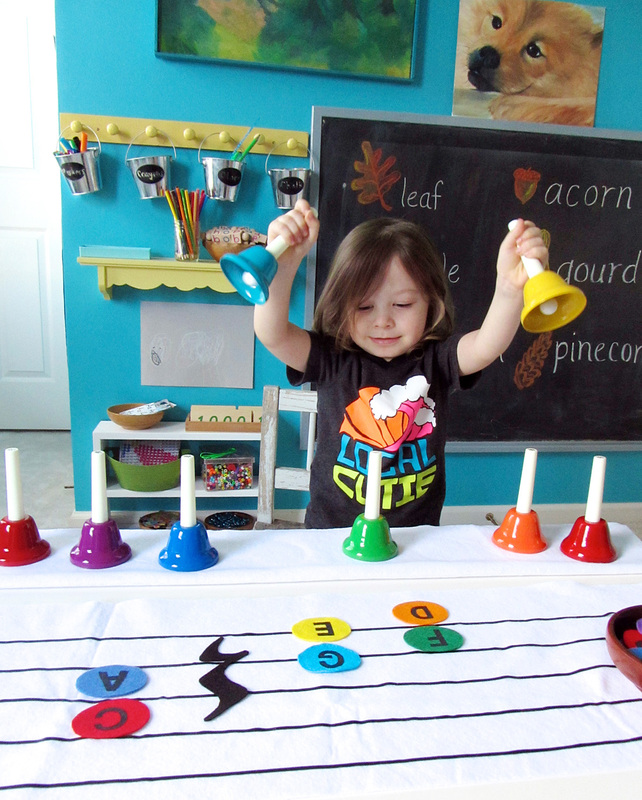 I’m not very musically inclined and this is an amazing alternative to the very expensive Montessori bells! Thanks so much for sharing! This is lovely! 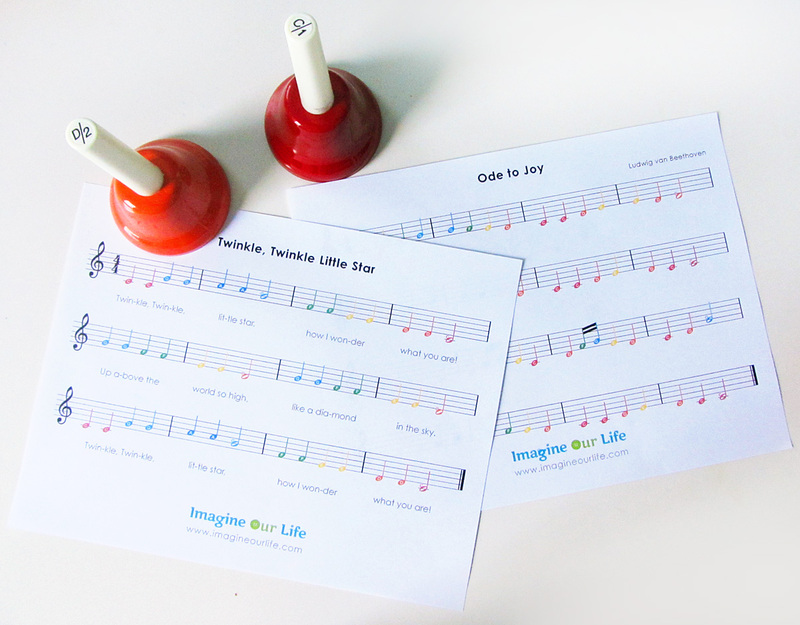 Thank you for sharing your free printables! I am going to use this for my two boys this year in our homeschool. Love these! I just downloaded the song sheets and will be using them for my music classes, but I’m wondering how you made the song sheets and if you have plans to make more. I am hoping for Jingle Bells! Thank you to Anastasia for the ones you posted–I downloaded those, too! Thanks so much! Thanks for the free printouts! 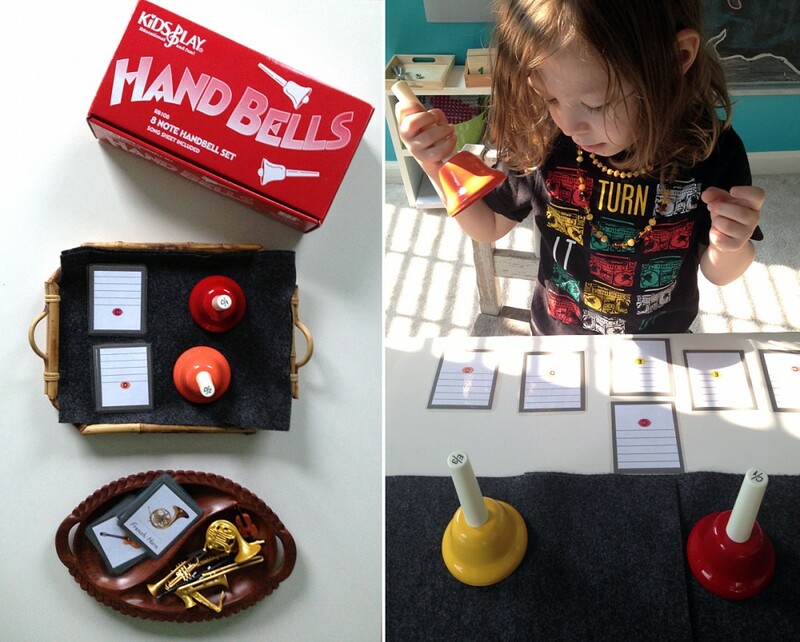 I’m excited to try the handbells out! Loved this so much, i made one for my boys! I embroidered the notes instead of painted and sewed everything together (I didn’t have fabric glue or paint on hand) This is wonderful!